A New York microgrid demonstration project will use an energy storage system from Eos Energy that the company describes as the lowest-cost battery storage on the market. 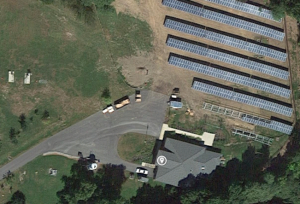 The New York State Energy and Research Development Authority awarded Eos Energy $750,000 to support production, installation and demonstration of the 250 kW, 1000 kWh battery energy storage system that will be used in Wappingers Falls microgrid. The microgrid uses the company’s zinc hybrid cathode battery technology, which can be manufactured at a cost of $91-$116/kWh at commercial volumes of 100 MW/year, according to a report from DNV GL, a third party hired to provide cost validation. NY-based Genesys Engineering will design and install the system at a water treatment facility in the Village of Wappingers Falls. Convergent Energy + Power also is participating in the project. The energy storage developer will help monetize available revenue streams and evaluate the project’s economics. The system will provide backup power, grid resiliency and demand charge management. “The battery system will be integrated with solar PV on the site, and integrated into a community-level microgrid combined with other power generation resources in the town to enhance grid resiliency,” said Bouchard. The zinc hybrid cathode battery technology is modular in design — it can be sized and configured to meet customer requirements. It provides four hours of storage, the company said. Eos Energy’s goal in this project is to “demonstrate scalability, reliability, and operability of the 250kW/1MWh battery system to commercial and industrial customers/end users, who are expected to comprise a significant share of the behind-the-meter energy storage market,” said an executive summary of the project. The company expects to begin providing behind-the-meter customers with its first-generation commercial product in 2016. “Eos plans to work with system integrators such as NEC Energy Solutions, Toshiba, Alstom, and Siemens as part of Eos’ Aegis integration program,” said the executive summary. The company will also partner with asset developers — including Convergent Energy + Power — to provide energy storage to customers. The partnerships are designed to allow Eos to enter the market more quickly and with less risk than if it were using a direct sales model. “The Village of Wappingers Fall Water Treatment Facility is an ideal site for a behind the meter installation because it provides the opportunity to demonstrate and evaluate the effectiveness of Eos’ energy storage system under multiple use cases. Not only can the battery be used as a standard commercial behind-the-meter installation, taking advantage of peak shaving and demand management customer savings, but the facility has been designated by Wappingers Falls as a critical load to the region to provide fresh water to the local community,” said the executive summary. Wappingers Falls is particularly interested in maintaining resiliency and operation of this facility. Now onsite is 200 kW of solar PV, which creates the opportunity to operate the storage system for renewable integration purposes. “This site represents a real-world opportunity to operate and evaluate the cost-effectiveness of multiple use cases, and to leverage multiple revenue streams, taking advantage of the full performance capabilities of Eos’ storage system,” said the executive summary. Eos Energy spent the last four years working with utilities, including Consolidated Edison, to understand their needs and ensure the company is delivering a product that creates value, Bouchard said. “We’ve worked most closely with ConEd in New York; they’ve been testing our batteries for over a year. The killer application in New York City is the locational capacity. They have a huge amount of load in a small geographic area,” Bouchard said. The cost of delivering that electricity is expensive. “There’s a severe capacity shortage and bottleneck. They’re paying developers and customers to install batteries,” he said. He noted that ConEd only provides payments if the batteries can sustain four hours of continuous discharge. “We’re seeing that requirement expressed in New York and California — the biggest markets,” said Bouchard. The project is designed to allow the state of New York to meet more of its needs with baseload generation. 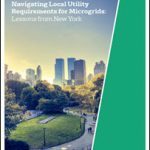 “Additionally, integration of the Eos battery on-site at renewable generation facilities can shift renewables from an intermittent to a firm and dispatchable power generation source — thereby enhancing the renewable business case and contributing to New York State achieving its 30 percent renewable procurement standard,” said the summary.